T3 Agenda: The Mercedes-AMG G 65 Final Edition arrives. Samsung unveils new wearables range. And more! 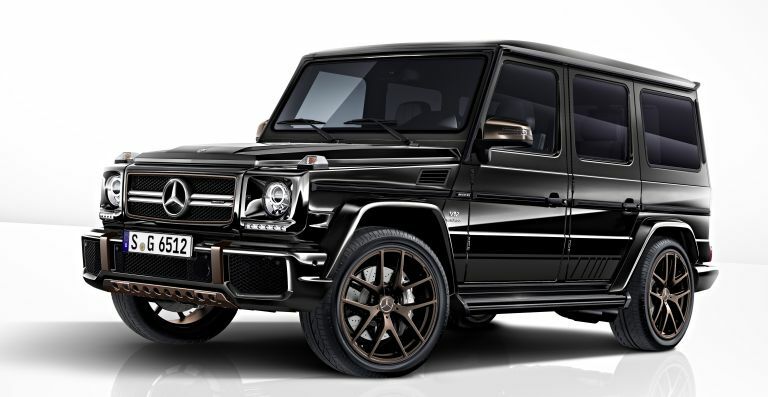 It's been almost four decades since the 1979 launch of the classic Mercedes-Benz G-wagen, so to celebrate the German auto giant is rolling out the model's first proper update - the Mercedes-AMG G 65 Final Edition. With a terrifying twin-turbo 6.0-liter V-12 engine with 621 horsepower and 738 lb-ft of torque, this souped-up SUV isn't toning down on the raw power that's made the classic G-wagen so popular over the years. With plenty of modern day carbon-fiber, 21-inch, 10-spoke wheels finished in matte bronze and much more, it shouldn't be too shocking to learn its a limited run, too - only 65 units are being made. The G 65 Final Edition is available right now in Europe, starting at €310,233 (£278,325). First, there's the Gear Sport, a sleek and versatile fitness-focused smartwatch that's water resistant (£299). Then there's the Gear Fit2 Pro, an upgraded GPS sports band with smart features (£209.00). Finally, there's the Gear IconX, a second generation of the company’s ground breaking cord free earbuds (no price point on these as yet). The Bosch Vario Style fridge freezer is designed to be redesigned. Thanks to the innovative Vario Style, you now have nine different interchangeable coloured doors to choose from – from vibrant sunflower to extravagant cherry red. It's like having a Nokia 3210 for a fridge, basically. As you'd expect in a fridge released in 2017, it features all the latest mod cons, including VitaFresh (which keeps fruit and vegetables fresher for longer). And you can purchase your fridge and door then get a second door for half the price when bought as part of a bundle. Grab a Bosch Vario today for £929.99, exclusively from Currys. L-ifi - the wireless tech that uses light diodes to transmit data at super fast speeds - is really starting to take out off in the consumer world, so it's no shock to see pureLiFi release a generational update to its own own lifi devices. The LiFi-XC is the world’s first certified, complete Li-Fi system. It comprises an access point and USB dongle that's compatible with Windows 7, Windows 10, Linux and macOS operating systems, and is three times smaller than the previous model - making it small enough for use with laptops, netbooks and Macbooks. Want an upgrade from Full HD but can't quite afford the jump to 4K? We've all been there. Why not go part way there and give a decent QHD model a go? The new Q3279VWF monitor from AOC has an opulent, 31.5-inch screen with a 2560x1440 resolution, giving an impressively high pixel density of 93.24 ppi. Whether you're watching films, playing PC games to your heart's content or idly bingeing Twitch streams, this monitor from AOC could be the perfect way to bridge that picture quality gap. At only £249, making the leap up from HD won't break the bank either.